Over 150 adventure ideas. 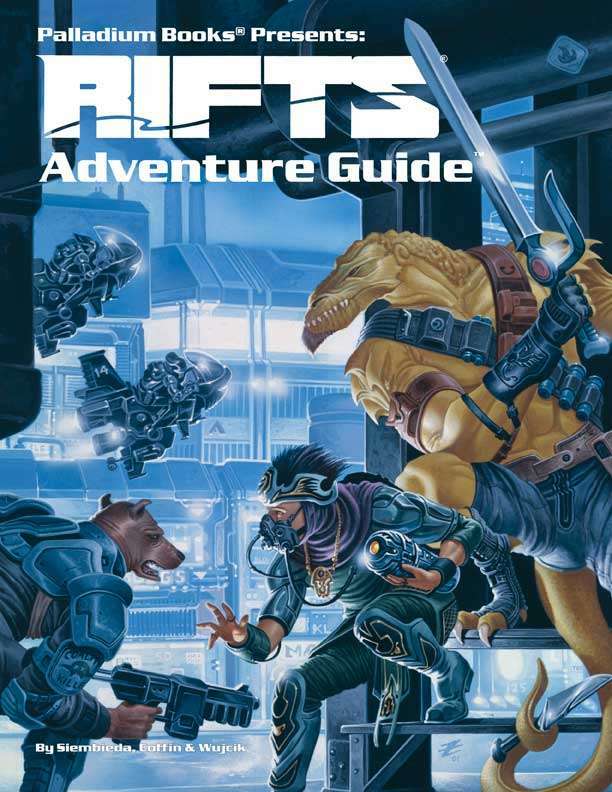 How to create, design, plot and run role-playing game adventures by Palladium’s top game designers and writers Kevin Siembieda, Erick Wujcik and Bill Coffin. From finding ideas and getting started, to adventure structure and character archetypes. Examples galore. Much of it suitable for any kind of role-playing game. Finding and building on ideas. Approaches to adventure design and running the game. Tables for generating towns and cities. Tables for generating syndicates and secret organizations. Tables for creating mercenary companies and traveling shows. Creating names and finding the big ideas. The Chi-Town ‘Burbs and more on the Rifts themselves. “101 Adventure ideas” and a more.